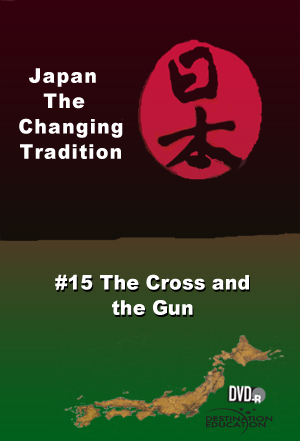 This episode highlights Japan’s first contacts with the West in the 16th century. The Portuguese, and other Europeans, brought two important things with them: guns and Christianity. This was the beginning of many great changes in Japanese life. Course Packs (all episodes in this series on three DVDs in a single case) may be purchased for $25.00 each, plus 7% (minimum $5.00) shipping and handling. They are ideal when students are required to view all or most of the episodes independently. Course Packs are only available to institutions that have purchased the complete series or have licensed broadcast, cablecast or telecourse rights. Email slenzen@shopdei.com for details.